It wasn’t always that way for Kansas City. Before the Sporting rebrand in 2010, the club was dead last in merchandise sales. Since then, Kansas City has been among the “top echelon of MLS retail sales” according to Moncke. The last time Sporting Kansas City launched a third kit, 2013’s black-and-argyle polo-style shirt (dubbed “Pitch Black”), it became one of the hottest selling jerseys in all of Major League Soccer. According to Moncke, the team out sold its entire forecast of those jerseys within two matches of its debut. Sporting KC wore those jerseys up until the end of a two-year cycle last season. The club is hoping for similar demand this time around. Fans can pick up the new jerseys this weekend at the stadium (or online) when the gates open at 2 p.m. A pop-up shop at the Boulevard Members Club at Sporting Park will open up on Monday from 12 p.m. to 5 p.m. next week as long as demand persists. Sporting KC’s collection of what the club has previously described as “fashion-forward” jerseys — designed to look as good on the field as they do with denim — are amongst the best-selling in the league. After four home matches this year, Moncke said the club has already had three of the its top retail sales dates in history. The all-white look is a radical departure from the last few offerings from Sporting KC, including the new light blue window-pane patterned primary jersey unveiled in March. It doesn’t include any of the team’s signature blue colors and is free of any patterns. Sporting KC’s reflective white jerseys (the appropriate hashtag on Sunday will be #ReflectSKC) will be used only sparingly in MLS matches. Expect to see them more often during U.S. Open Cup matches or for special occasions — such as a nationally televised game like the one this Sunday. The team will still use its secondary kit, featuring Sporting blue and indigo striped shirt with indigo shorts, that was introduced in 2014 for road games or clashes with opponents that wear light blue primaries. 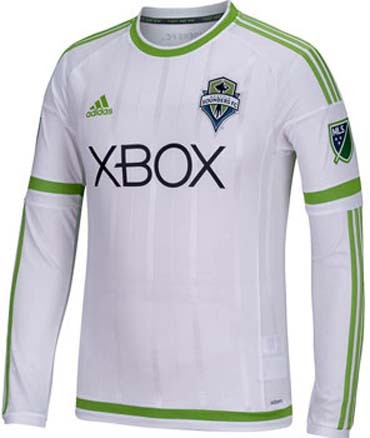 The jerseys represent a more practical, but still reflective, look. This will be the first time since 2010 (before the rebrand) the team has worn a mostly- or all-white uniform — and the first ever to not feature any black or blue. White jerseys are suddenly all the rage around the league. 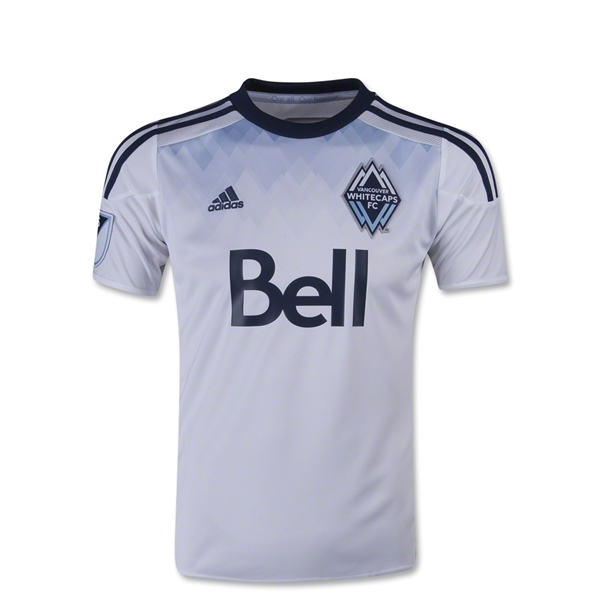 Just this year the Vancouver Whitecaps, Philadelphia Union, Seattle Sounders, Real Salt Lake, Orlando City and Montreal Impact have all gone to an all-white look. Fans will get a sneak peak of the jerseys in person on Friday night during a presentation at Kauffman Stadium before the Royals-Detroit Tigers game. To reach Charles Gooch, send email to cgooch@kcstar.com. Follow him on Twitter: @TheFull90.